Everyone needs a holiday but how easy is it to square environmental concerns with the need for a little straight-forward enjoyment? With man-made climate change and global warming firmly established as the issues of the day, a growing number of people have been led to question the ecological costs of that fortnight away. If we are going to travel, it is inevitable that there will be some level of environmental impact – that much is inescapable – but we can, of course, try to minimise it as much as possible, which is what travelling responsibly is all about. Although much depends on your intended destination, whether your chosen break is an out-and-out eco-friendly tour, or a straight-forward package holiday, there are things you can do to reduce the negative aspects of the trip, while maximising its potential benefits. Where you go and how you get there is a good place to start applying this thinking. Obviously the nearer you stay to home, the lower your impact is likely to be and choosing to travel by bus or train wherever possible is a good way of reducing your carbon emissions, but if less green forms of transport are essential all is not lost. 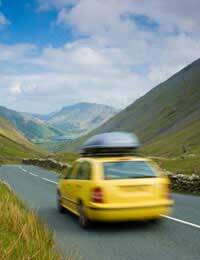 If you need to go by car, driving in a fuel efficient way – accelerating gently, avoiding harsh braking and making sure your car is well serviced with its tyres properly inflated – can go a long way to help. Sharing part or all of the journey with someone else is another possibility, always assuming that there is anyone suitable who needs to go in the same direction – a fully occupied car uses far less fuel per person than one with only a driver in it. Likewise if flying is the only sensible way to reach your destination, then trying to reduce your flying time by selecting the airline with the most direct route but this may not always be possible with package deals. However, the number of internal flights and stopovers is something which you are likely to have more of a say in, so try to keep them to a minimum, since take-offs and landings release the most carbon. Finally, if you do chose to use a carbon offset and there are many around to chose from, try to make sure you pick a good one. This is certainly not a simple thing to do as the market is un-regulated – though a new scheme from the UK Government should make it easier to select an approved and verified offsetting scheme. Regardless of where you have picked for your time away, it is someone else’s home for the rest of the year – and no matter how much an area depends on tourism to survive, the relationship can sometimes be an uneasy one. Help smooth the wrinkles by buying locally – produce, services, souvenirs or guides – the more the local economy depends on visitors, the more important it is that you support it. Responsible travel is as much about ethics as it is about the environment and besides, there is no better way to truly experience a place from Cairns to the Cairngorms than by involving yourself at the local level – and that often means down at the market or in the shops. In the same vein, if you can master even a few phrases in the local language – and respect local customs – you will win yourself a good deal of respect and goodwill. Being a responsible traveller also means taking care with resources – especially in impoverished parts of the world, where ready supplies of water and electricity may be far less plentiful than at home. Likewise, waste management can be a major headache for many countries, both in terms of transportation and final disposal. As an eco-conscious traveller, you will, of course, have already purged excess packaging and disposable items from your luggage, but it is always worth double-checking – and then throwing as little away on holiday as you can. After all, it is hardly “responsible” to stretch already limited resources that bit nearer to breaking point. The world has lost around 30 per cent of its untouched habitats in about as many years and a significant proportion as a result of tourism. Responsible travelling is not an exercise in being a kill-joy – it simply encourages us all to take a careful look at our holiday plans and be aware of the effect that they are likely to have. Once that has been done, spotting the biggest potential problems becomes much easier and you can begin to look for ways to mitigate the environmental harm only when you know what and where it is likely to be. There are plenty of perfectly good reasons to travel the world and see its sights – by air if needs be – but with a responsible attitude to travel, we can stay green – even while we slap on the sun-cream and try to go brown.